Cleaning windows must be one of the most dreaded household tasks. If you manage to keep your windows sparkling clean, well done! But those clear kitchen window presents a bit of a hazard for our feathered friends. Today’s photo of the week is of a kererū to celebrate the Great Kererū Count that is currently underway around the country. The future of our forests is closely linked to the survival of kererū – and that future is in our hands. Today we profile Genevieve Spargo, Island Ranger, Kapiti Island. 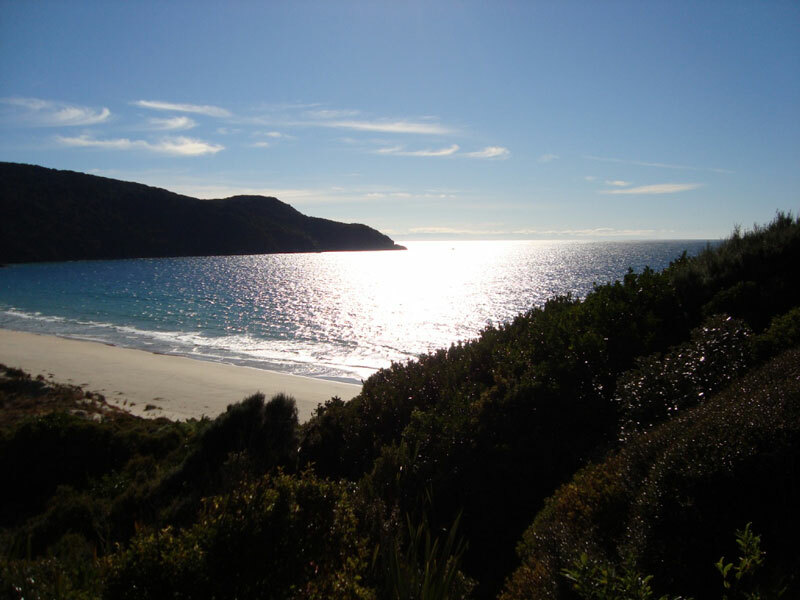 Position: Island Ranger – Kapiti Island. The Island Ranger role on Kapiti is varied. Some days I pretend to be a visitor assets ranger, other days I pretend to be a biodiversity ranger, and there’s also a great deal of effort that goes into the interpretation and relations aspect too. Not to mention the logistics/coordination, biosecurity and surveillance, building infrastructure and fire equipment maintenance of course! I pretty much pinch myself everyday, it’s a great privilege to live and work on a nature reserve. I think the best part of my job is bumping into regular Kiwis (the human variety) along the tracks and watching their expressions as they see and hear hihi, kōkako, tīeke, korimako, toutouwai or have a flock of kererū fly past, or even meet face to face with a cheeky weka or takahē. Magic. Realising that I’m not a superhero and that there are only 24 hours in a day. It is a huge responsibility helping to take care of Kapiti Island. Extremely encouraging fellow DOC workers and friends. You all know who you are, so a big cheery thanks! The natural world has been an obsession for a while. I was lovingly told off as a child for chasing wildlife and lifting rocks to see what was under them—this is ok if it’s not outback Australia! I had my eye on DOC while I was at uni in the UK and, after I moved out here, I took a job on the front desk in National Office, answering phones and delivering mail. It was a cool way to get to know the Department and the people that worked there. 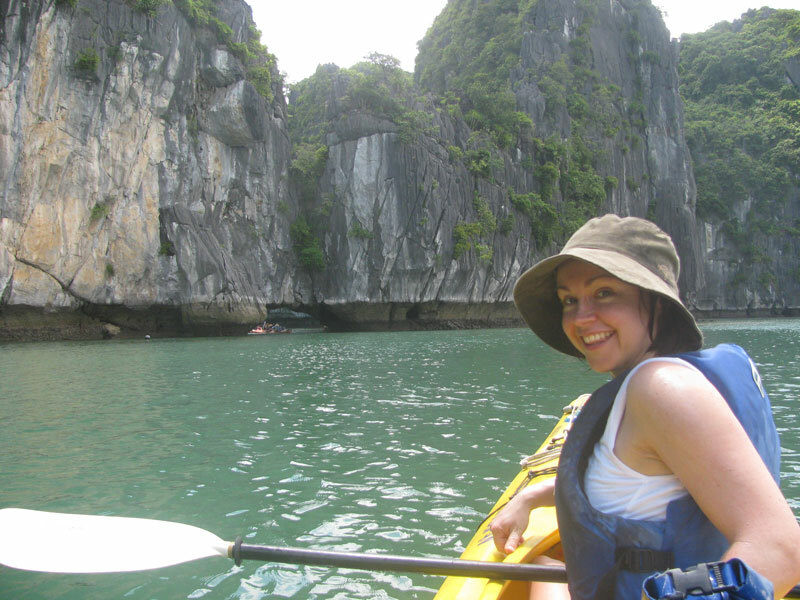 I got involved with island field trips as soon as I could via volunteering and work development opportunities. 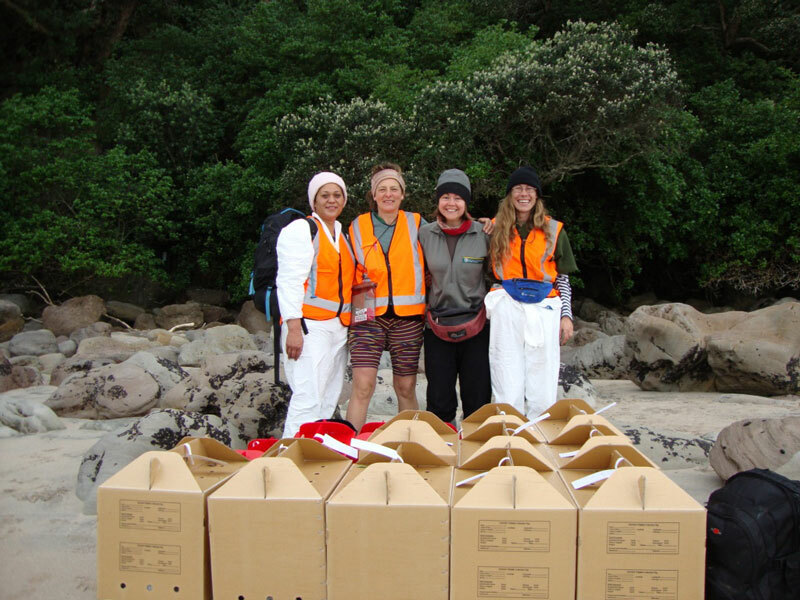 I also started bird banding with the Ornothological Society New Zealand and doing some work for the Department’s vet which was great fun! So, after a stint with the Standard Operating Procedures System team I got an exciting chance to go weeding for a while on Hauturu/Little Barrier (thanks heaps Ross and the Walles), the rest is history…. Converting a bunch of gecko fearing school kids into mini gecko ambassadors. Having no butter in the house or forgetting butter when tramping. Devastating. This changes all the time as I explore new parts of the country. At the moment it’s Taepiro Stream on Kapiti Island. It blew me away and I can’t help but imagine ancient wildlife stomping through the undergrowth. Its goosebump type of stuff. Working with incredible vollys on an off-shore island at the Rena Recovery. Time is ticking, so don’t be fearful and get on with it! All the DOC staff who put in the invisible and unpaid hours to get the job done. People who have busy lives, jobs, families etc. and still find the time to be passionate and involved through volunteering in conservation – got to respect that! A police dog handler or an RSPCA Officer. Running some sort of restoration trust getting kiwi kids off their couches and into the outside – preferably on an island. If you can, leave the car at home sometimes and go for a walk. Perhaps introduce a ‘swimming to work’ programme for Kapiti Island DOC staff. Probably a gannet, as I reckon it would be a pretty exhilarating life, and the views would be spectacular! Enthusiasm is usually infectious. You have the ability to influence everyone around you in a positive way by encouraging the respect of our natural resources. No really, you do.